yup updated post. you were right, tested and worked. So now only the sensor is left. Its not 2.
disclaimer: its just test code to get everything checked and working. Will clea this up when everything works. I looked at the code on an iPad and was focussing on the temperature reading code and the delays on the main loop. The bits that were missing didn’t jump out at me! You’ll need to change the GPIO numbers (I think the Sonoff switch is connected to GPIO0) and once it’s working then you could add-in the temperature and humidity code from your existing sketch. ah yes there’s the physical button as well. Good point, that one is currently not working but if I can read its state on gpio=0 then I can fix that too. NOte that the current problem IS the tem/humid sensor: I keep getting failed reads… I’ll now check your link. Because GPIO 1 is also the Tx pin on the ESP8266 it means that you can’t use the serial interface for debugging. Well… the sensor… Then I’m of litlle help, as I do not know the protocol it is working with. 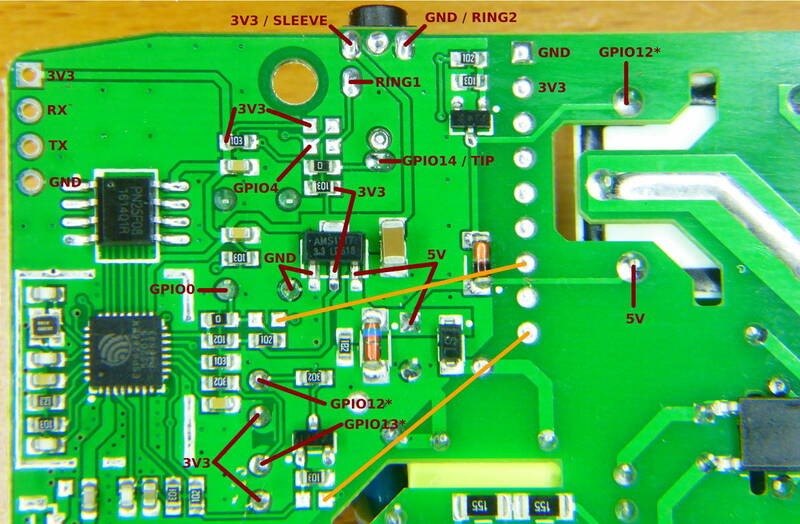 The pins are correct, but as it comes to “driver” I know only what @PeteKnight has posted here about sonoff’s sensor. @wolph42, Try ready solution from @PeteKnight. Why invent a wheel? because it does not provide me the sensor output. You can rest assured that I will use that code as example for my own, but I will build my own eventually. First though: get it working. the tip of the jack plug for the external temp/humidity sensor is connected to GPIO14. What’s the error in the text that you quoted from my smart socket post? What is important from this reading: The AM2301 should work but requires some library tweaking. I don’t get it: If you know the button is wired to GPIO0 (and it is), then why on earth you are testing GPIO1?? final part is the sensor. It appears that arendst had already fixed it and I have that dht file…so I don’t get it why its not working. yup, you two have been great support. Im currently reading xsns_06_dht.ino and fingers crossed to see if I can get that working with my code. We’ll see… Basically I have every part working now for the sonoff. I just need that sensor input and then I can start with the actual code. Yes, I said that I think the physical button on the Sonoff is connected to GPIO0. The code I linked you to was for a different type of smart switch, where the switch is linked to GPIO1, which is why I said that you’d need to change the GPIO settings to suit your Sonoff. but…there are a couple of structures and functions also in those parts of the code that prevent me from compiling it. Well I won’t dig into it, but what I understand from my yesterday’s evening reading, is that all is needed is a change in some delay() loop. They were discussing, that a change to delayMicroseconds() eventually made it working. And it was a modification to DHT library under AM2301 sensor support. yes, that change applied to arendst tasmota library which I what I was talking about. What is required is a set of pulses and then a read-out but im completely clueless how he does it. I can find the section but it could as well be in arabic.